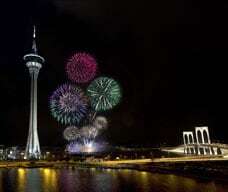 The annual Macao International Fireworks Display Contest - universally acclaimed as one of the best of its kind - takes place on the Macau Tower Shorefront from mid-September to 1st October every year. 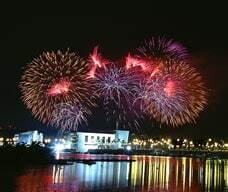 Over the years, more than 100 international teams from China, the Philippines, Thailand, Chinese Taiwan, Japan, Korea, Australia, the UK, Switzerland, France, Germany, Portugal and Spain have participated in this world-class pyrotechnic shoot-out. 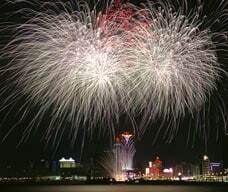 Many visitors choose this time of year to come to Macao to enjoy an exotic holiday illuminated by spectacular displays in the night sky that can be enjoyed from many vantage points on the Macao Peninsula and Taipa Island.